TMG Hospitality was established to provide specialist hospitality and management services to the group and partners’ hotel brands. After almost two decades of hospitality management, TMG Hospitality has a portfolio of eleven hotels & resorts which host more than 200,000 guests annually, as well as a number of cruising and rail travel opportunities in key tourism destinations in Vietnam, Cambodia, and Laos. As a subsidiary of TMG, a leading travel and hospitality group operating throughout Asia since 1994, TMG Hospitality (TMGH) is an expert in hospitality management in Southeast Asia with a portfolio that includes 3- and 4-star properties, cruises and premium transportation options. TMGH always operates with the mission to ensure truly professional services by managing operations and providing back office functions while maintaining and strengthening the unique identity of each brand. From the pristine mountains of Sapa to the historic Hoi An Ancient Town, from the coastline backed by desert-like sand dunes in Phan Thiet to the exotic floating markets of the Mekong Delta or Luang Prabang, one of Asia’s most beautiful and peaceful towns, each property offers genuine hospitality and a lively energy that are trademarks of the real Indochina. Mixing French-colonial styles of architecture with flourishes of local tradition, our captivating properties blend history, culture and landscape into a gently unforgettable experience. 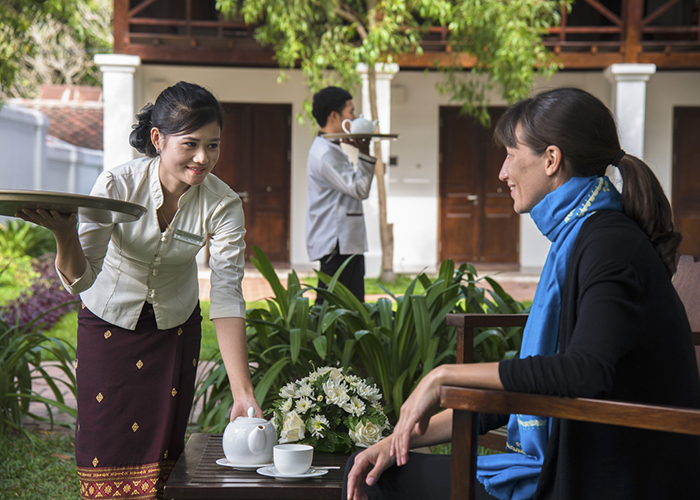 Even beyond the boundaries of our hotels, we seek to bring the magic of Indochina alive by creating opportunities for guests to truly experience our destinations and meet local people. We use vintage vehicles, traditional sampans and rice barges, bicycles, motorcycle sidecars and even our own Pullman-style train carriages to transport our guests in style. 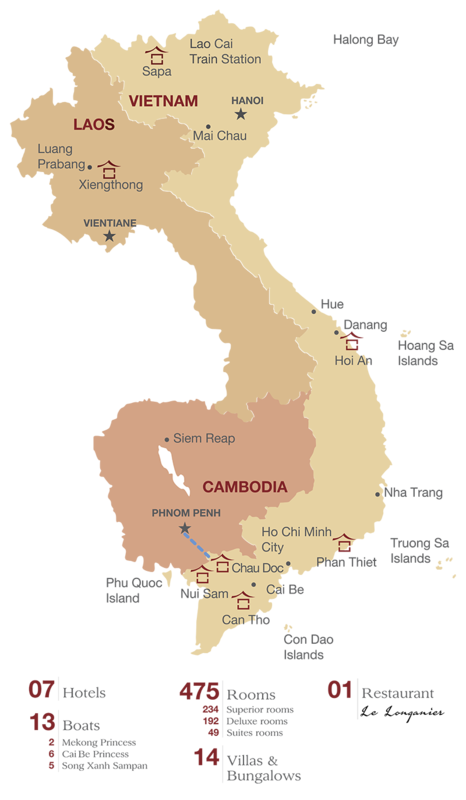 The Victoria Express Train links Hanoi to Lao Cai (Sapa) and Victoria also operates boutique coach services in the Mekong Delta (between Saigon – Can Tho – Chau Doc) and between Hanoi and Sapa in Vietnam’s north. Victoria Cruises offers day trips aboard converted rice barges and 1-3 night sampan cruises throughout the Mekong Delta, visiting places like charming Sa Dec, the setting of “The Lover” in Marguerite Duras’ celebrated novel, and Rach Gia, the gateway to the island of Phu Quoc. The cruises also provide opportunities for shore excursions, visiting small cottage industries, historical sites and quaint restaurants. Along the Saigon River, the Lady Hau offers gastronomic sightseeing Lunch, Sunset and Dinner Cruises. ÊMM Hotels & Resorts is Vietnam’s newest international-quality brand, bringing a new level of product, consistency and standards to the Vietnamese market. The collection now includes three hotels: ÊMM Hotel Saigon (3 stars), ÊMM Hotel Hoi An and ÊMM Hotel Hue (4 stars). The brand will be expanding into other major cities across the country. L’Azalée Cruises proudly offers Halong’s newest premier cruise experiences on vessels which operate to certified marine standards and come fully appointed with modern safety features and equipment together with kind and professional staff. Moreover, our cruises were created based on the goal of combining heritage and culture with international resort standards. Along with a team of friendly, professionally-trained staff, our fleet managed by TMG Hospitality offers the best culinary and premium cruise experiences on par with any of the world’s leading hotels. 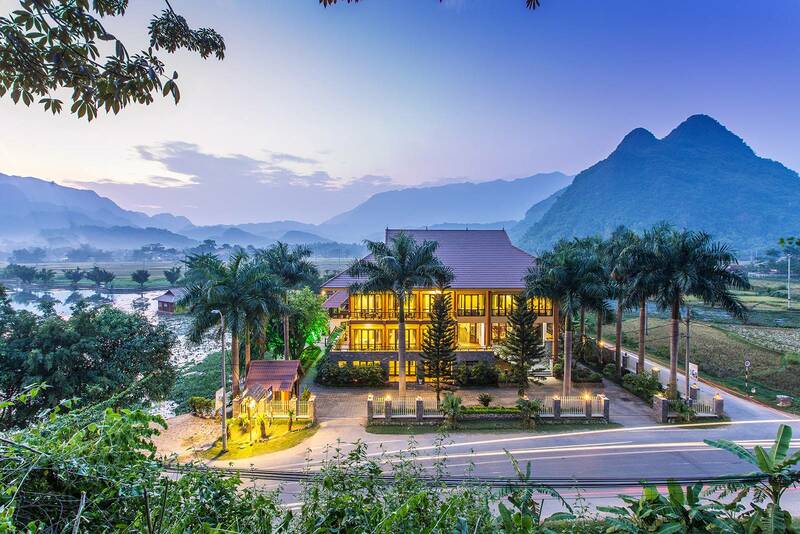 Located 135 km southwest of Hanoi, set amongst tribal villages, Mai Chau Lodge offers spectacular vistas of the famed Mai Chau valley, surrounded by lush green mountains and stilt houses inhabited largely by the White Thai ethnic group. With 16 rooms, Mai Chau Lodge is ideal for travelers who are looking for authenticity along with the comfort, rooms and facilities of an international 3* hotel. SPICE VIET is a brand-new chain of farm-to-table restaurants showcasing authentic Vietnamese cuisine by using fresh, seasonal ingredients to create dishes that are healthy, green and delicious. Spice Viet Hue is the first in the Spice Viet chain of restaurants. 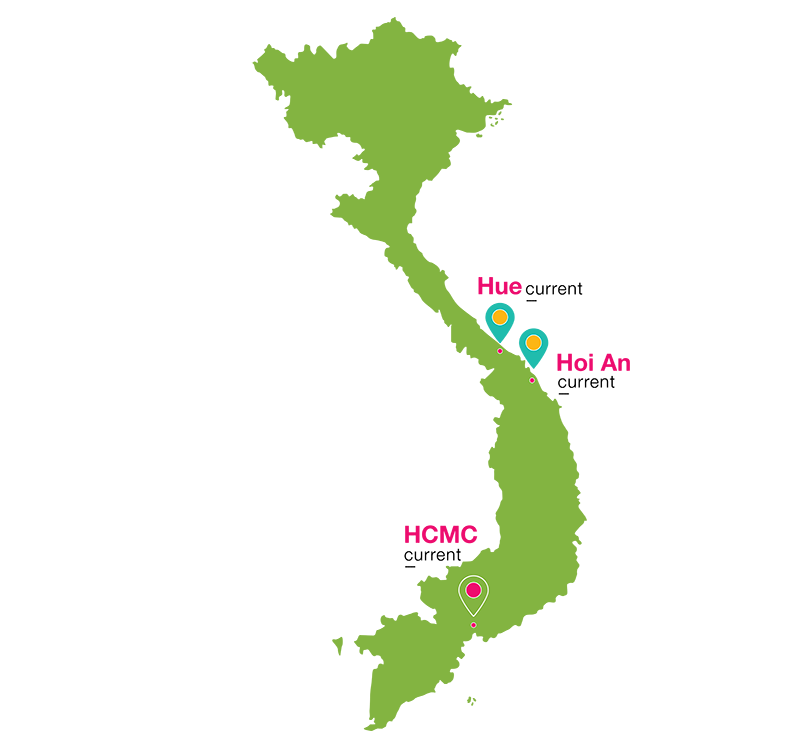 Other location will open throughout Vietnam (Ho Chi Minh City, Hanoi, Hoi An…) and abroad (Europe, Australia…).